You can now update your Samsung Galaxy S3 to Android 4.4.2 KitKat based C-RoM custom firmware. 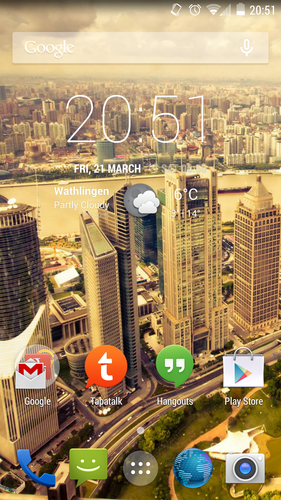 This ROM is smooth, fast, and stable and is build on AOSP sources. Keeping the stock look, C-RoM enables you to customize your Samsung Galaxy S3 on Android 4.4.2 KitKat. Before you read on to update Galaxy S3 to Android 4.4.2, here are some of the features and details of this ROM. Frameworks: Fix linked volume does not persist after reboot. Don’t register methods when there’s nothing to register. Get rid of noise during boot. Required files: download the C-RoM Android 4.4.2 KitKat custom firmware for Galaxy S4 from here and save it on your computer. Do not extract the contents. From recovery menu, select install zip from sdcard followed by choose zip from sdcard. Locate the C-RoM Android 4.4.2 custom firmware and confirm the flashing process.